It is traditional at the end of the year to take some time and review the past (particularly the last year) to recall some important events as well as some interesting trivia. Now with 84 years behind me and 85 coming on strong, there is a lot to look back on, and I am not always sure what happened in what year. That caused some recent trouble for me! I occasionally go to the VA clinic for a checkup and to get some free medication. At my last visit, they asked me for “my last four” when I checked in. After thinking hard for a bit, I said: “Molly, Helen, Nancy and Flo.” (Actually, I made up Flo. I had to say something, didn’t I?). The lady at the desk looked at me funny and said, “I meant your Social.” (her shorthand for Social Security) Oops. I responded, “It was the monthly meetings of my car club on the first Thursday of the month. Just not very active socially anymore.” She then proceeded to tell me that the mental health clinic was two floors up. Even though I have a passion for restoring old cars, that doesn’t mean my eye doesn’t wander to checking out new cars and how they perform. To show that I was open to new ideas and not an old fogey stuck in the mud, I went for a test drive in the new Tesla electric car. 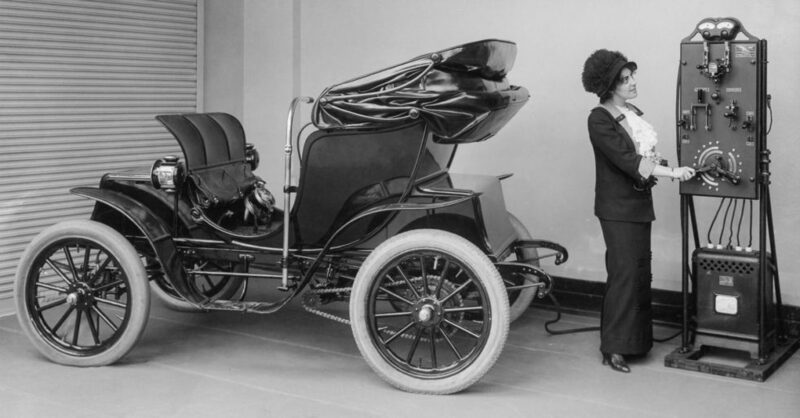 Now, electric cars are hardly new; at one time, they were more popular than internal combustion engines. It must have been aromatic when those lead acid batteries filled with sulfuric acid had a conniption fit. We now have lithium ion batteries that do not leak, but they do make a grand fire and explosion when they malfunction. Fortunately, that is a rare occurrence, which the astute battery designer is very careful to avoid. Talk about a “hot seat;” it would be a real fireball if one if those battery packs that you are sitting on decide to cook off! The performance of the Tesla was truly amazing. From a dead stop, I put the pedal to the metal on a lonely stretch of road that the Telsa rep uses for demo rides. I did not let up until the speed hit 90mph, which took an amazingly short time. The electric motors can deliver maximum torque at zero rpm, so the effect is like “dropping the clutch” on a hot rod engine. I remember back in 1956 when I attended the Air Force technical training school at Lowry Air Force Base, it was a great sport to race the electric buses late at night on Colfax Avenue in my 1950 Rocket 88 Oldsmobile. I bet the driver missed a few stops during those times. 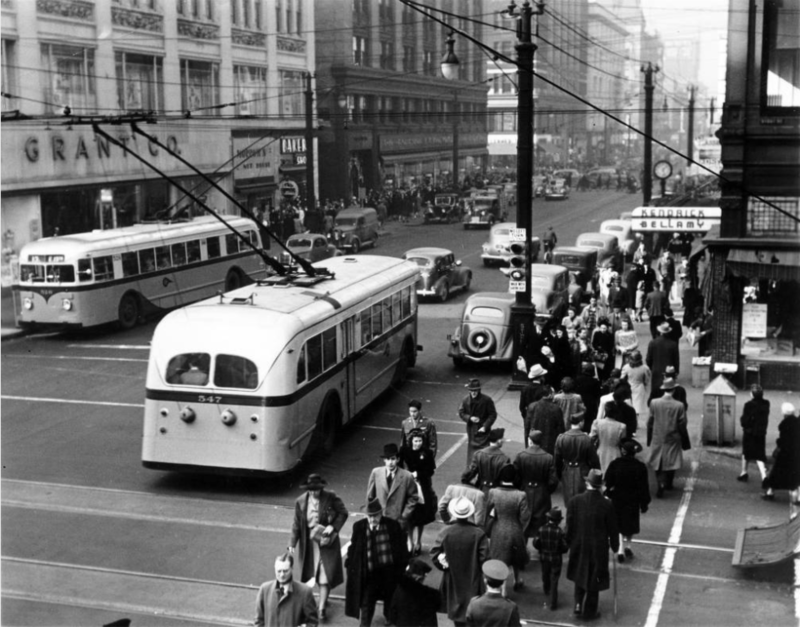 Those buses with their electric trolley motors and overhead wires could really move out. But the most amazing part of the Tesla demo was yet to come. On the way back to the dealership, we took I-25 on the section south of Denver. With our exploding population in Colorado, this highway is filled with drivers on a mission on this eight-lane high speed stretch. Some behave like the WW II Japanese Kamikaze pilots. Sir Isaac Newton explained to us long ago that the kinetic energy of a body in motion is a function of its mass and the square of its velocity. Now you take a velocity of 70 mph, convert it feet per second, multiply it by itself, then take the mass of a car in pounds and multiply that with the velocity number, and then divide it by two and you come up with a very big and very scary number. While I was quite aware of this number and the danger that it foretold, I was asked to push a button and then take my hands off the steering wheel. I did so with sweating palms and sat there in wonderment as the car drove itself amidst the mechanical swarm around us. To turn off at the exit ramp, I just flipped the turn signal and gulped as the car just changed lanes and took the exit. The self-driving car is very close to reality folks. I wonder how long it will take the malevolent teenager to “brake check” (flash the stop light) on these packed highways just for the hell of it to see the self-driving car respond. Will flipping off still have significance? So many conditions to consider in the brave new world that is racing at us. I got my driver’s license in 1955 and took the driving test using a big, heavy, cumbersome Chrysler sedan with “fluid drive” that you had to lift off the gas before it would shift. This is a car that deserved to be made into pots and pans at the end of its life. Since then I have driven mostly high-performance cars, and not always in a mild manner, and I have yet to even dent a fender. (I am not bragging; just wondering how self-driving cars are really going to work out). I remember and follow the advice on the Burma Shave signs that used to be posted along the road: BOTH HANDS ON WHEEL – EYES ON THE ROAD – THAT’S THE SKILLFUL DRIVERS CODE — BURMA SHAVE. Will we be able to consider the self-driving car to have intelligent hands on the wheel and eyes on the road? I do not text and drive. I do not use the cell phone while moving. I do not eat breakfast behind the wheel. I keep the radio volume low or off, so I can concentrate on the traffic around me. I guess with a self-driving car, I could do all of the above with impunity. I just have to hope the brain in the car that is taking over for mine has as good of a record as I have. I had a nice young man who is a well-qualified automobile mechanic ask me as an “old time” car restorer if I had any understanding of how modern fuel injection works in contrast to an old-fashioned carburetor. I told him I thought it was simply a function of an essentially incompressible fluid under constant pressure being fed through a pulse width modulated solenoid valve into either a wet manifold or directly into the combustion chamber with the duty cycle being determined under algorithmic control based on ambient conditions coupled with the power output demanded of the engine. An old-fashioned carburetor just responds to air being forced through it by gravity in accordance with the energy balance equation using the differential pressure between the ambient air pressure and the pressure inside the cylinder of the engine. He looked at me a little funny, like I should learn the “Carburetor for Dummies” explanation that he was trained on. I sometimes have a communication problem with the modern generation. Having reviewed the past, it is now time to look to the coming year. 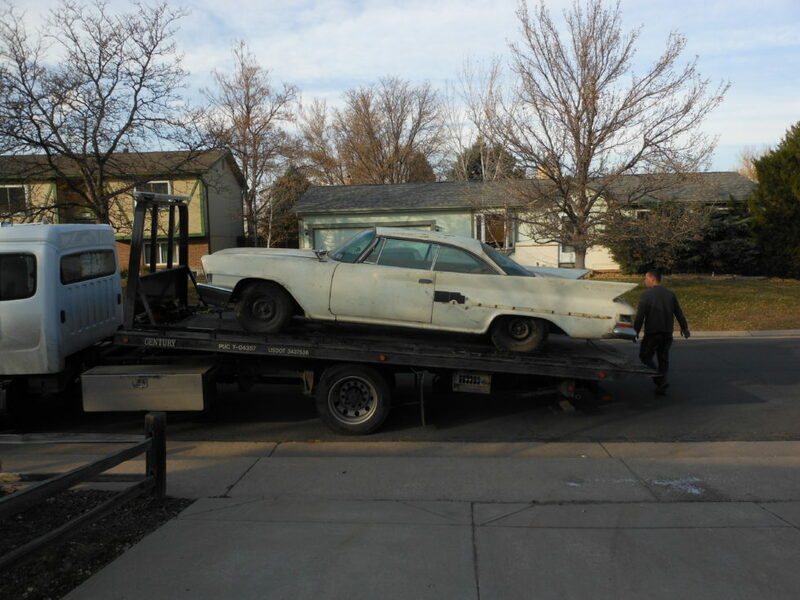 I need to keep up a fast moving, but steady, pace on the restoration of the 1961 Chrysler 300G with the cross ram manifolds that I bought a couple of months ago. When I ask suppliers for time estimates on delivery, I reject the ones with very long lead times as I want to pay for it rather than have my estate pay. With my 84 years of experience and tackling my 85th year full steam ahead, I’ll be delivering more newsletters with continued adventures for you to virtually travel. 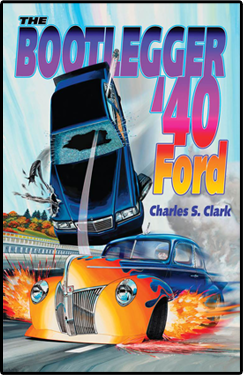 In the meantime, if you want some literary excitement based on old time adventure, you can read my book, The Bootlegger 40 Ford. This article was published in Bootlegger Book Blog and tagged burma shave, car restoration, Charles Clark, hot rodders, hot rods, Lowry Air Force Base, veterans clinic.